In an earlier post, I described the importance of having the ability to quickly search for information stored in the Cloud. The post pointed out that Cloud search is somewhat more complicated than one might think at first glance because the speed of search is affected by how close the index lives to the actual data in the Cloud infrastructure. One comment I received was that Cloud search can be fast and simple if the Cloud vendor promises a certain service level for query times and results. That can address part of the issue around search (although IaaS providers – what we are truly talking about when we say “Cloud” – are typically not interested in guaranteeing SLAs for things like search because they allow customers to provision their infrastructure set to enable fast search with products like X1 Rapid Discovery). Even if a Cloud vendor were to guarantee phenomenal search SLAs, the issue of unified enterprise search of all information still remains. The reality is that enterprises and government agencies store information in “hybrid” environments that encompass on-premise systems within corporate data centers, virtualized systems that companies operate, and Cloud-based repositories. Research firm Gartner predicts that by 2017, half of mainstream enterprises will have a hybrid cloud. And, research from NetApp shows that organizations will be managing data across multiple cloud environments, not just a single provider, per se. These are exciting developments. As organizations embrace more modern infrastructures, there are many benefits to be had. What we need to remember, however, is that business professionals still need to quickly find and take action on their information assets to do their jobs. As that information gets further scattered, enterprise search will take on increased importance. Workers don’t care if their data is stored on-premise or in the Cloud as long as they can quickly find it in an easy-to-use interface. The challenge for today’s organizations is that information now lives in multiple infrastructures – on-premise, virtual, Cloud, or most frequently, a hybrid of all of these. Current approaches to including Cloud-based data in enterprise search and eDiscovery require downloading a copy of the data to search so that it resides alongside other local content. Unfortunately, that defeats the purpose of storing the data in the Cloud in the first place. This takes me back to my original point: Cloud search is very important. 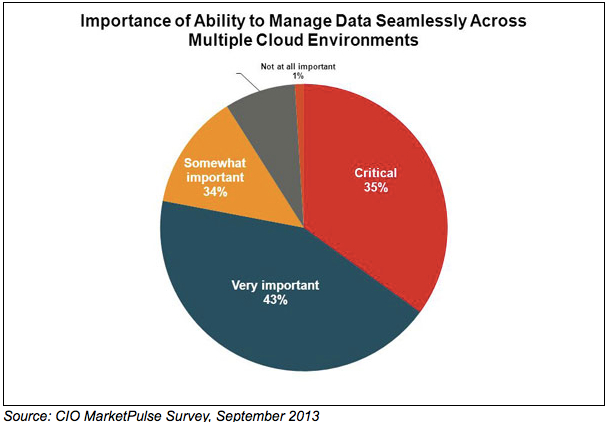 But, Cloud search cannot simply exist in a vacuum. An effective enterprise search solution will combine on-premise search capabilities that can talk to search in the Cloud – without requiring downloading the cloud-based information in order to search across all data. Forrester Research reports that 40% of enterprises surveyed indicated they have already rolled out workloads on public clouds or have near-term plans to do so and that the number will increase to 50% this year. IDC predicts that from 2013–2017 public IT cloud services will have a compound annual growth rate (CAGR) of 23.5%, five times that of the IT industry as a whole. Gartner says Cloud Computing Will Become the Bulk of New IT Spend by 2016 and that spending on public Cloud services will have a CAGR of 17.7% from 2011 – 2016, with spending on Infrastructure-as-a-Service (IaaS) itself will have a CAGR of 41.3% in that time period. In eDJ Group’s recent Cloud services adoption fast poll, Greg Buckles found that less than 5% of respondents reported that all information is kept on-premise on company infrastructure and cloud services are not being actively considered. No matter where data is being stored, though, the fact remains that the ability to search that data will be critically important. Workers still demand unified access to email, files, and SharePoint information, and they want fast-as-you-type search results regardless of where the data lives. 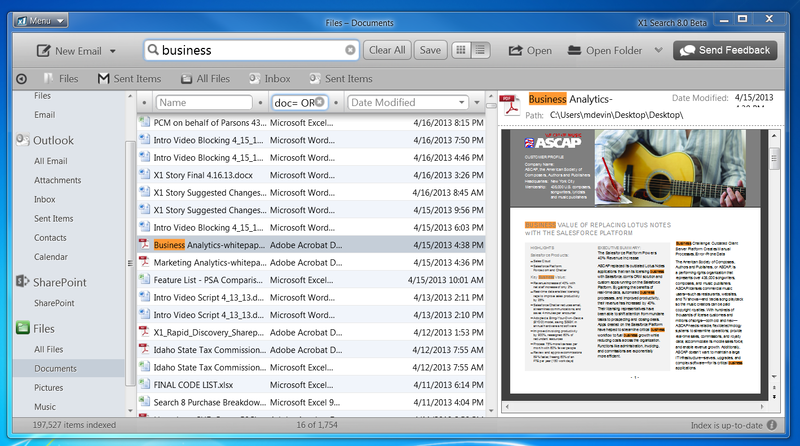 In addition, Legal teams require that search queries and collections execute within specific time-frames. But, Cloud search is slow, as indexes live far from the information. This results in frustrated workers and Legal teams afraid that eDiscovery cannot be completed in time. Lest you think this is not a big deal, consider the following story. When I was at eDJ, we worked with a very large enterprise client that wanted to move its collaboration system to the Cloud. The problem was that the Cloud system the client was contracting with could not meet the Legal Department’s requirements for speed of query results and collection. This significantly slowed down the movement to the Cloud until the client had worked with the Cloud vendor to ensure that search and collection could execute at the necessary speeds. The delay frustrated an IT team anxious to reap the promised benefits of the Cloud and cost the project team significant man-hours. This story highlights the need to granularly define search and eDiscovery requirements before moving data to the Cloud. Most “cloud search” solutions pass queries through connectors, and then the Cloud vendor needs to figure out where in its vast data center the index lives, find the content, return the query result, and then the customer will need to download all the content. The result is a slow search and another copy of the data downloaded on premise, which basically defeats the purpose of moving to the Cloud in the first place. The solution to a faster search is a cloud-deployable search application, such as X1 Rapid Discovery. This creates a win-win for Cloud providers and customers alike. As enterprises move more and more information to the Cloud, it will be important to think about workers’ experiences with Cloud systems – and search is one of those user experiences that, if it is a bad one, can really negatively affect a project and cause user revolt. 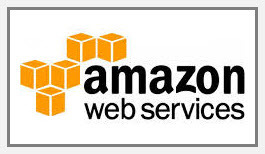 Updated 11/14/2013: Amazon Webs Services announced today a “game changing” cloud-based desktop virtualization offering. “As of next month, no employees get a new PC, we are going all virtual and B.Y.O.D.” These words, spoken by one of our customers from one of the world’s largest financial institutions, should be disconcerting to anyone in the traditional eDiscovery collection business. With well over 1000 computer forensics and eDiscovery services businesses in the US and Canada alone, ranging from small shops to large firms with hundreds of eDiscovery professionals on staff, the industry faces substantial disruption going forward. This is because most all of these firms thrive on full disk imaging, or otherwise manual collections, from the PCs and laptops issued to corporate employees, either as a substantial source of revenue, or a foundational first step that feeds into their processing and hosting business. 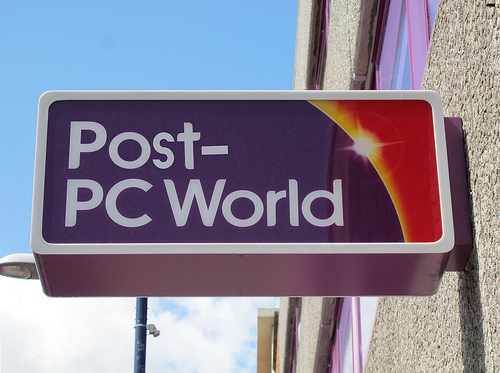 However, enterprises have entered a “post-PC world,” where desktop virtualization, cloud, social media, and mobile devices are supplanting the traditional PC infrastructure and “local” data storage. In fact, desktop virtualization, which will be about a six billion dollar market in 2016 according to industry researcher the 451 Group, is an ideal infrastructure to enable B.Y.O.D. as employees can have access to a virtual PC across a broad range of devices, from traditional PCs and laptops to smartphones and tablets. However, in such a framework, all the employees’ data and applications are stored and managed centrally in a virtual environment. In addition to enabling B.Y.O.D., a virtual desktop infrastructure (VDI) provides IT significant benefits through the ability to centrally manage user desktops, gaining efficiencies in costs and resources. VDI provides for simpler desktop provisioning, lower costs for deploying new applications, improved desktop-image management, and improved data integrity through centralized backup services. In addition to a reduction in both desktop operating costs and call support, there is also a reduction in the number and duration of downtime events. However, finding content is difficult enough on a traditional desktop, but the issue is compounded with the virtualized variety. There are many compelling benefits to VDI, but the architecture does not facilitate or even enable traditional desktop search solutions or physical disk imaging for forensic examination. X1 Search 8 provides search capabilities across physical, virtual and cloud environments with results returned in a single pane. X1 was specifically architected to uniquely and seamlessly operate in virtual desktop environments, including popular Citrix solutions XenApp and XenDesktop. To further explore the disruptive challenges and benefits of VDI, X1 is partnering with one of the nations’ top VDI consulting firms, Agile 360 in a November 17 webinar (register here) to outline these challenges and opportunities associated with search and information access in VDI environments. We hope you can attend to learn more about the disruptive changes in store for enterprise search and eDiscovery in the Post-PC enterprise. Recently, Amazon Web Services (AWS) hosted a first of its kind webinar by a major cloud provider addressing the topics of eDiscovery and enterprise search. The webinar showcased solutions that allow organizations to quickly search, identify and act upon distributed data, whether it resides within the enterprise or within the AWS cloud. Vikram Garlapati, an Amazon Web Service Solutions Architect, lead off the discussion. LTech CIO Eric Klotzko also presented. LTech is a cloud systems integrator and AWS partner supporting implementations of next-generation enterprise search and eDiscovery solutions that install and operate in virtual environments. • Vikram Garlapati outlined the key benefits of the cloud, including the provisioning of resources on demand as needed as opposed to incurring large capital outlays that must meet organizations’ estimated requirements over a multi-year period. This applies to enterprise software as well, where cloud-enabled eDiscovery software can be provisioned on a monthly, weekly or even daily basis as needed. • Eric Klotzo underscored the limitations of traditional enterprise search solutions that are hardware appliance-based or require an extensive manual on-site install process, thereby rendering such solutions as non-starters for deploying into and operating within virtualized cloud deployments.